Melba Recordings joins the international music community in mourning the loss of Deborah Riedel who passed away on 8 January 2009. Conductor Richard Bonynge, who was among the first to recognise her extraordinary talent as a soprano, said on hearing the news of her death: "She was undoubtedly one of the greatest voices ever produced by Australia. Her repertoire was enormous and she was a great star in the operatic world." Melba was fortunate in having the opportunity to make three special recordings with this great soprano. These CDs are an enduring record of her wonderful artistry and a legacy for future generations to enjoy. Deborah Riedel was greatly admired by her colleagues, musicians, musicologists and audiences not only for her miraculous voice and professionalism but her generosity of spirit. Deborah Riedel became The Cancer Council of Australia’s first official ‘ambassador’ in 2006. Melba Recordings extends its deepest sympathies to Deborah Riedel’s family and friends at this sad time. Other tributes to Deborah Riedel’s outstanding contribution to classical music can be found in The Australian and on the webpage of reviewer, editor and feature writer, Chris Boyd . Australian born soprano Deborah Riedel studied at the New South Wales Conservatorium of Music in Sydney where she won several major singing awards enabling her to continue her studies in Europe. Operatic work in Australia included Leonora (Il Trovatore), Mimi (La Boheme), Violetta (La Traviata), the four heroines Les contes d’Hoffmann, Marguerite (Faust), Donna Anna (Don Giovanni), and the title roles in Maria Stuarda, Tosca and Norma for Opera Australia; Leila (Les Pêcheurs de perles), Micaela (Carmen) and Marguerite (Faust) for the Victoria State Opera; Marguerite for Opera Queensland, and Tosca for the State Opera of South Australia. 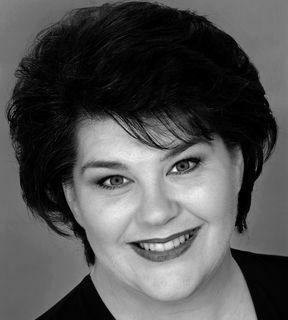 She made her US debut in 1994 as Amina (La Sonnambula) for San Diego Opera and performed Donna Anna, Adina (L’elisir d’amore), Violetta, Alice Ford (Falstaff) for the company. Further US engagements included Donna Anna at the Metropolitan Opera and Ellen Orford (Peter Grimes) and Donna Anna for San Francisco Opera. In Europe Deborah performed Teresa (Benvenuto Cellini) and Marguerite for the Grand Théâtre de Genève; Teresa for the Opéra National de Paris; Countess (Le nozze di Figaro) for Opéra de Montpellier; Donna Elvira for Opéra de Bordeaux and Aix en Provence; Leonore (Fidelio) for Opera de Tours; Teresa for Opera di Roma; Violetta for De Nederlandse Opera; Donna Anna for the Bayerische Staatsoper and Wiener Staatsoper; Mimi, Donna Elvira and Freia (Das Rheingold) for the Royal Opera Covent Garden, and Marschallin (Der Rosenkavalier) and Tosca for Welsh National Opera. Deborah appeared frequently as a concert artist in Australia and sang with all of the state symphony orchestras, the Australian Chamber Orchestra, the Australian Pops Orchestra and at the Melbourne Festival. Engagements included Strauss' Vier letzte lieder with the Adelaide Symphony Orchestra, Beethoven’s Ah perfido and Ninth Symphony with the SSO under Edo de Waart, Jonas Sendung with the MSO and Neeme Järvi, Poeme pour Mi with the SSO and Simone Young, Gala Concerts in Melbourne and Sydney under Richard Bonynge and as guest soloist with Jose Carreras on his Australia-wide tour. In Europe her numerous concert engagements included Mahler’s Symphony No 8 with the City of Birmingham Symphony Orchestra and Mark Elder, Britten’s War Requiem in London and with the Czech Philharmonic and Gerd Albrecht, Tippett’s A Child of our Time with the LSO and at the BBC Proms with the New York Philharmonic under Sir Colin Davis, Missa Solemnis with the Czech Philharmonic and Sir Charles Mackerras, Britten’s Spring Symphony in Copenhagen with Donald Runnicles, Poeme pour Mi with the Bergen Philharmonic Orchestra and at the Concertgebouw and Beethoven’s The Accession of Leopold II with the Orchestra of the Age of Enlightenment under Sir Charles Mackerras. Recent performances included her highly successful role debut as Sieglinde in SOSA’s new production of Die Walküre for which she was the recipient of a Helpmann Award (recorded by Melba Recordings), the title role in Semiramide at the Wildbad Festival in Germany under Richard Bonynge, ‘Best of British’ concerts with the Australian Pops Orchestra at the Victorian Arts Centre, concerts with the Puccini Festival Australia and an appearance with Opera Australia in their New Year’s Eve Gala under Richard Bonynge. Deborah also sang at the Cayman Islands Festival, returned to Welsh National Opera to reprise Tosca and performed Beethoven’s Symphony No. 9 with the TSO and Vaughan William’s Sea Symphony with the MSO. Highlights of the last two seasons included the title role Turandot for Opera Australia, Amelia in Un ballo in maschera for SOSA, a follow up solo recording (Cherry Ripe) with Richard Bonynge for Melba Recordings, a Wagner Gala with The Queensland Orchestra and a Beethoven program with Sydney Philharmonia. Continued acclaim for the Melba Adelaide Ring 8 years on. 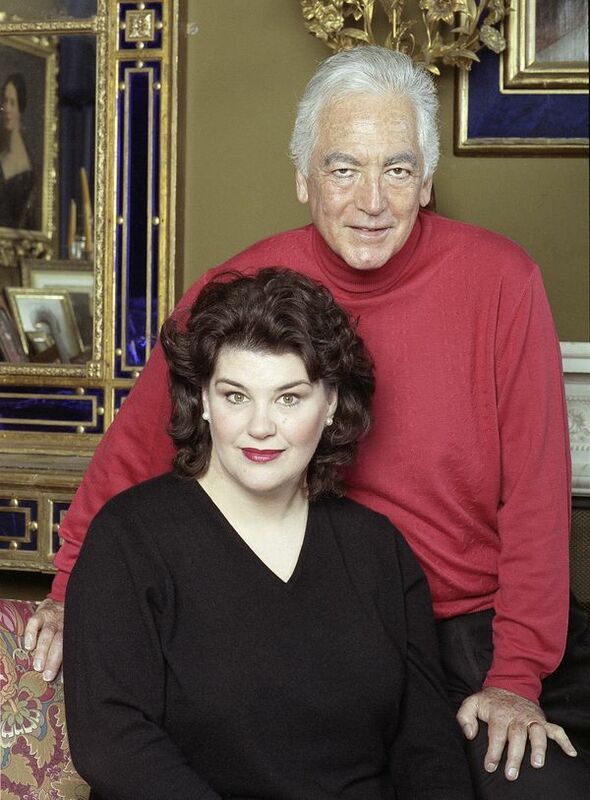 Rare Italian, French and English opera arias from the Richard Bonynge Archive. The last recording to be made by Deborah Riedel.